Our Calgary-based legal team provides expertise in adult criminal defence, youth criminal justice, and bail services. Shelley is a knowledgeable, professional and approachable criminal defence lawyer strongly motivated to defend her clients. Shelley is originally from Calgary, but took her law degree at the University of Windsor. She was called to the Ontario bar in 2002. Starting as an associate, she worked her way up to partner before eventually starting her own criminal practice in Toronto. With the development of the Inter-Provincial mobility agreement, Shelley felt the call of the west and decided to move back to her home town of Calgary. She was admitted to the Alberta bar in 2010, and soon after launched Moore Law Practice. 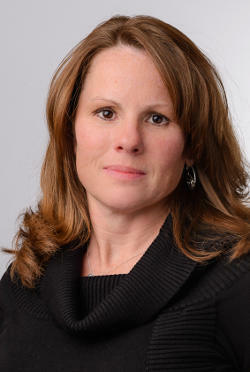 Shelley has gained extensive experience through her trial work in the Provincial Courts of both Ontario and Alberta, as well at the Ontario Superior Court of Justice and the Alberta Court of Queen's Bench. She has conducted trials by jury and trials by judge alone, so she is well versed in the tactics of the courtroom, including the rigorous cross-examination of witnesses, professional experts, and police investigators. Email Shelley directly at shelley@moorelawpractice.com. Prior to attending law school, Geea earned a Bachelor of Arts and Bachelor of Science from the University of Calgary, where she volunteered for various human rights organizations and co-hosted a talk show on CJSW 90.9 FM for several years. Following her undergraduate studies, Geea earned her Juris Doctor from Thompson Rivers University Faculty of Law in British Columbia in 2016. While at law school, Geea developed a keen interest in criminal law and pursued a directed research project with Dr. Robert Diab on the frailty of eyewitness evidence and the introduction of expert testimony in Canadian jury trials. Prior to her articles with Moore Law Practice, Geea articled with the Alberta Civil Liberties Research Centre, where she had the opportunity to produce and publish research on the Canadian Charter of Rights and Freedoms and its involvement in protecting the rights of marginalized individuals, including homeless people and provincially sentenced offenders. Geea brings her passion for human rights and criminal advocacy to her practice of law, and continues to ensure that each client is represented thoroughly and justly. Email Geea directly at geea@moorelawpractice.com. Brad was raised in small-town Leduc, Alberta, where his knack for writing propelled him to the top of his high school English classes. He attended the University of Alberta School of Business, graduating there and then moving to Saskatoon, Saskatchewan, where he graduated from Saskatchewan’s College of Law in 2017. Born and bred in a blue-collar town, Brad is never shy of hard work. He’s spent cold winters wrangling heavy equipment and hot summers cooking in kitchens, working shoulder-to-shoulder with people from all walks of life. During articles with Moore Law Practice, Brad ran numerous successful sentencing hearings and bail applications, prepped and ran multi-day trials, and drafted several Charter applications that resulted in charges being withdrawn before trial. Everyone charged with a criminal offence deserves a fair outcome. Brad will ensure your story is heard, and your rights protected. Email Brad directly at brad.kraus@moorelawpractice.com. Hannah completed her Juris Doctor at the University of Calgary Faculty of Law, following her undergraduate studies in Environmental Sciences and English Literature at the University of Toronto. During her academic career, Hannah stood on the Dean’s list in Toronto, and was named a Top Oralist in the University of Calgary McGillivray Moot in her second and third years of law school. Throughout law school, Hannah was active in Student Legal Assistance (“SLA”), where she helped numerous Albertans facing criminal charges in Calgary and the surrounding area. With SLA, Hannah gained meaningful courtroom experience, including negotiating with the Crown, running trials, drafting written submissions, and effectively preparing for sentencing. She also helped run Trial Confirmation, where she provided assistance in docket court to self-represented people awaiting trial. Hannah strongly believes that everyone charged with a criminal offence has the right to be heard and the right to zealous advocacy. She is eager to bring her passion for working with people to her practice of law and hopes to continue the fight for access to justice. Email Hannah directly at hannah.chernos@moorelawpractice.com. Matt was born and raised in Lethbridge Alberta, where he completed a Bachelor of Science in Biology at the University of Lethbridge. In 2014, Matt moved to Calgary where he completed a Masters degree in Medical Science at the University of Calgary. After graduate studies, Matt entered the law program at the University of Calgary, earning his Juris Doctor in 2019.
argued his client’s rights were breached through improper police conduct, resulting in evidence being excluded and the client being acquitted, or the Crown withdrawing the charges before the trial began. Matt also spent his second summer of law school working for the Crown Prosecutor’s office. He spent a large amount of time in Calgary’s regional courts, prosecuting provincial and criminal offences. Matt has taken the experience he has gained while working with the Crown and translated it to better defend his clients. If you have been charged with a criminal offence, Matt will vigorously defend your rights and help you achieve the most favourable outcome for your case possible. Email Matt directly at matt.walton@moorelawpractice.com. Hannah came to us with eight years of experience in the legal profession, including five years in Criminal Law and three years in Corporate Law. She is currently in the last year of studies for her Bachelor of Business Administration (BBA) degree. Hannah's well-rounded experience, enthusiasm, and passion for excellence are a strong asset to our team. Email Hannah directly at office@moorelawpractice.com. Alex was born and raised in Calgary, before moving to pursue an undergraduate degree in Philosophy and Business at the University of Victoria. During her time at UVic, she worked as a teaching assistant, an English conversation partner for international students, and a community involvement coordinator with Young Women in Business. Alex is now attending McGill University’s Faculty of Law, where she will earn her LL.B. and B.C.L degrees. In addition to coursework, she investigates wrongful conviction claims with McGill’s chapter of the Innocence Project, and is also an Associate Editor for Inter Gentes: The McGill Journal of International Law and Legal Pluralism. This year, with Innocence McGill, Alex helped organize a conference about systemic factors leading to wrongful convictions of Indigenous peoples. Passionate about the intersection between criminal justice and human rights, Alex considers criminal defence law to be a prime example of this. As a strong believer in access to justice, Alex is looking forward to the opportunity to advocate for a fair outcome for everyone charged with a criminal offence. Email Alex directly at alex.moser@moorelawpractice.com.